Hi, I’m Chris Chappell, Project Director at Wates Construction. We’ve been on site at RAF Marham near King’s Lynn since last year, and what a rewarding project it is turning out to be. 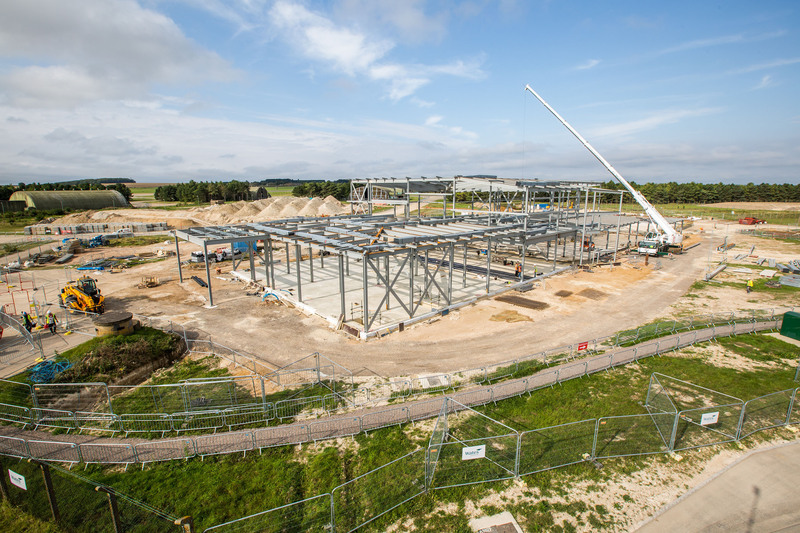 We’re currently building the new Squadron Headquarters, which will be central for the crews of the new F-35 Lightning aircraft, It’s been a pleasure to work on this really exciting project, and it’s one that makes the whole of our team immensely proud. 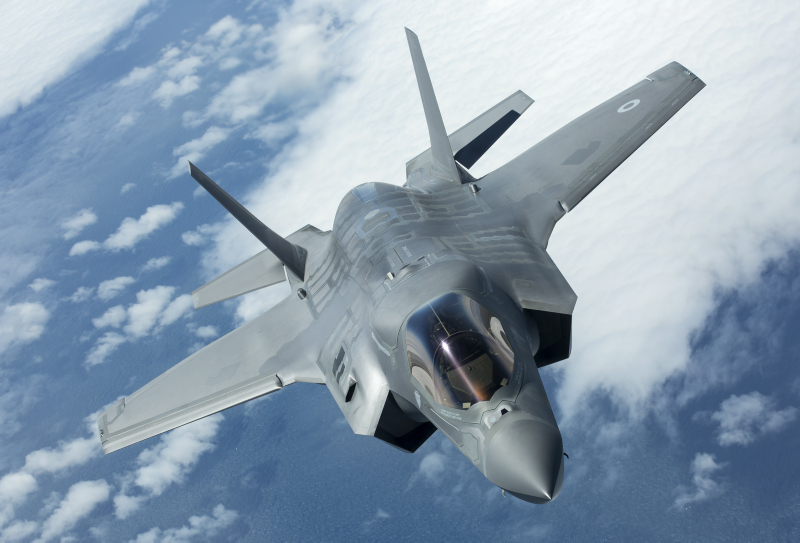 The F-35 is an incredible multi-role combat aircraft and the new Squadron Headquarters for 617 Squadron (The Dambusters) is the home for mission planning, administration, and maintenance for this next generation of RAF aircraft. Each project facilitates new learning and challenges for, not only our business, but that also of our supply chain. However, this contract has resulted in a step change in the way we operate and has provided a fantastic opportunity for our team’s professional development and also my own as it's the first project of this nature that I’ve worked on. I’ve been able to utilise the wider business knowledge and expertise from our experience of delivering a number of Ministry of Justice contracts over the past 10 years, but this goes far beyond our already robust ways of working when it comes to security. We understood the upfront investment in infrastructure that would be needed to enable us to work on this project, however the greatest challenge was implementing and managing the cultural and operational changes our supply chain partners would need to adopt. Working with our IT colleagues, we reviewed our entire IT system, adapting and enhancing it so that we could meet the level of security required. IT and hardware aside, a large part of my job, as project director, has been ensuring that we share information on a strictly need to know basis. It may seem like an obvious and simple element, but it’s quite a big culture change when you are used to dealing with all suppliers and colleagues in a very open and transparent manner. For example, on a job such as RAF Marham a painter and decorator only needs to know what date and time they need to be on site, the colour of the paint, what wall they are painting and absolutely nothing else. The aggregation of information is absolutely critical to high level security projects like this one. As you can imagine, the higher the security clearance you have the more detailed information you have access to, but it then takes complete self discipline to apply that knowledge in the correct way. In the mobilisation of the contract, we held extensive workshops and briefings with our supply chain to ensure they were fully up to speed with what was required of them. This included the handling and disposal of all information and what protocols we had in place to manage this effectively and to the standard required. This has been an ongoing priority for us, to continually monitor the management and distribution of all information to ensure our partners are fully compliant at all times. Tasked with safeguarding one element of the nation’s security is no small undertaking, but it's one that is hugely rewarding and I am very proud to be involved. We will be handing over the completed job in the Autumn and I’m looking forward to the next project that I will be able to transfer the learnings from RAF Marham onto.